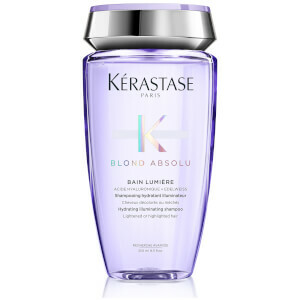 Restore gloss and shine to blonde hair with Kérastase Blond Absolu Bain Ultra Violet Shampoo, a deeply nourishing treatment that boosts luminosity. The purple shampoo works to deliver lasting protection against brassy and yellow tones, whilst defending against pollution and other external aggressors to maintain a healthy, natural-looking shine. 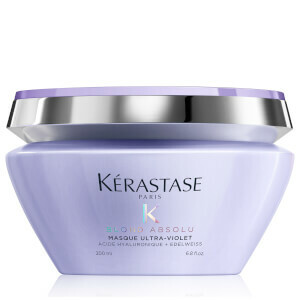 Hyaluronic Acid and Edelweiss Flower work in harmony to melt away dirt and excess oil and replenish hydration, leading to a silky-soft and vibrant head of hair. Wet hair then thoroughly remove excess water before applying a quarter-sized amount of shampoo touch by touch onto 5 key zones of the hair. 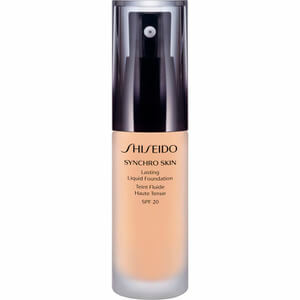 Add water and emulsify. Leave it on between 2 to 5 minutes. Rinse thoroughly. 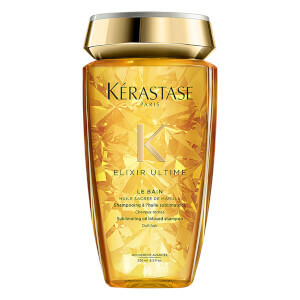 We recommend you to alternate with Bain Lumière on a weekly or as a second shampoo for a deeper & hydrating cleanse. Aqua / Water, Sodium Laureth Sulfate, Coco-Betaine, Sodium Chloride, Glycol Distearate, Cocamide Mipa, Dimethicone, Citric Acid, Sodium Benzoate, Sodium Hydroxide, Hexylene Glycol, Ci 60730 / Acid Violet 43, Salicylic Acid, Carbomer, Limonene, Guar Hydroxypropyltrimonium Chloride, Hydroxypropyltrimonium Hydrolyzed Wheat Protein, Magnesium Acetate, Glycerin, Sodium Hyaluronate, Tocopherol, Aspartic Acid, Glycine, Arginine, Glutamic Acid, Phenoxyethanol, Leontopodium Alpinum Flower/Leaf Extract, Fumaric Acid, Malva Sylvestris Flower Extract / Mallow Flower Extract, Potassium Sorbate, Parfum / Fragrance. C224442/1.